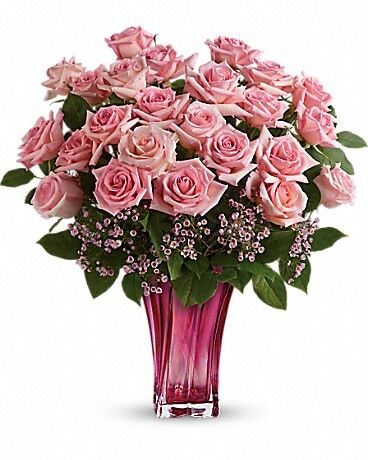 Perfectly pink! 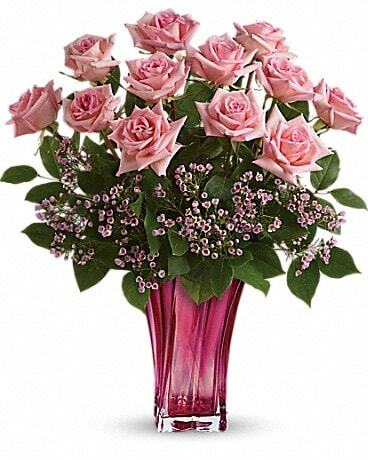 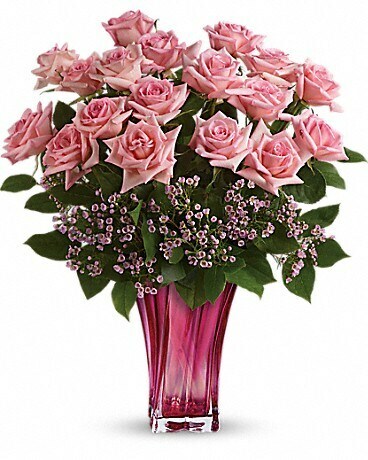 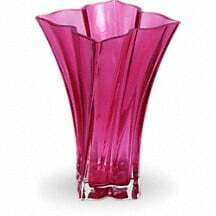 Beautifully simple, this exquisite mix of soft pink roses and delicate pink waxflower finds its perfect complement in a fabulously fuchsia blown glass vase. 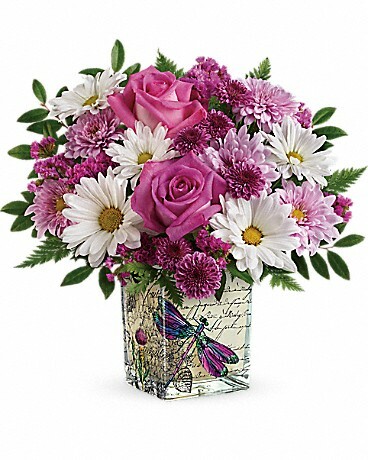 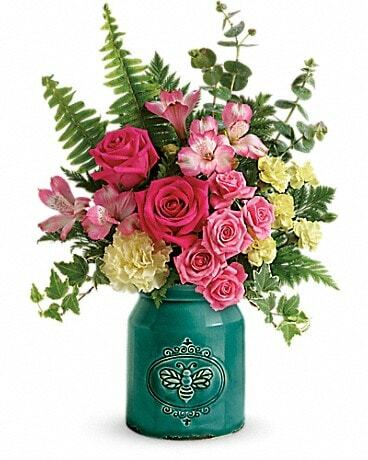 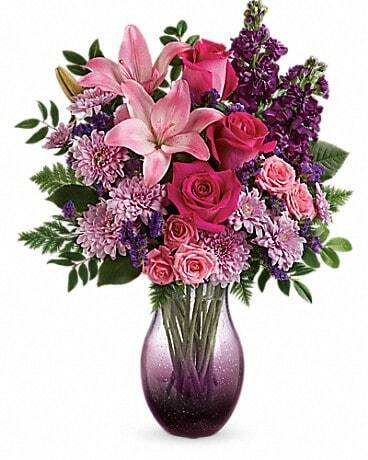 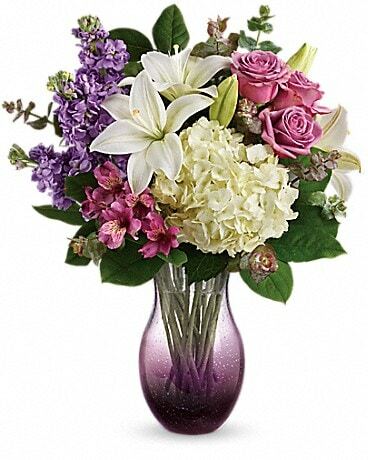 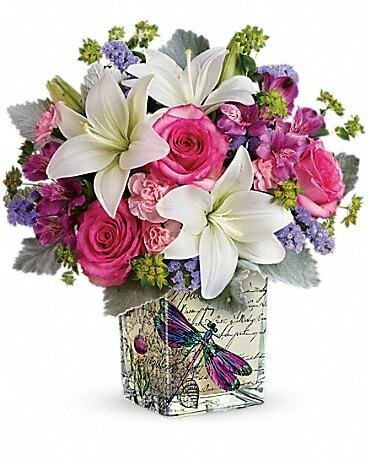 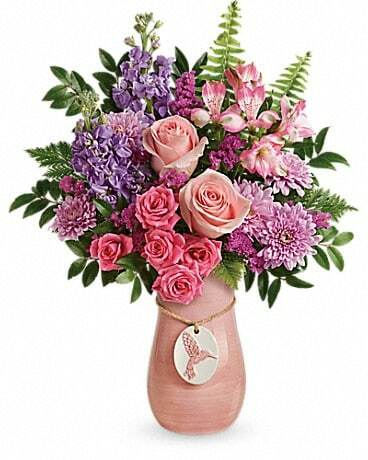 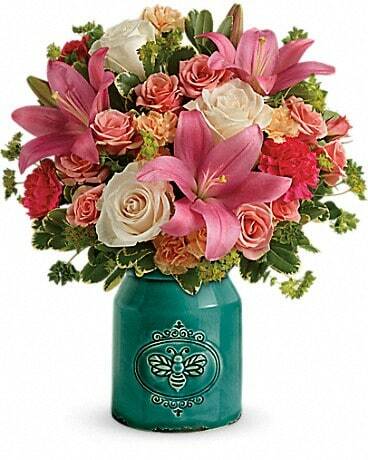 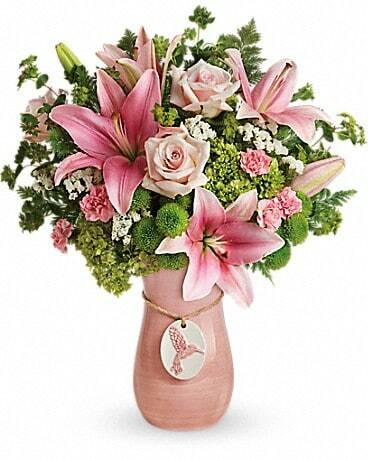 Hand-delivered for Mother's Day, it's a glorious surprise she'll never forget!